Rather that repeat the list every day, I am going to just post it once a week and then update the post with info each day of the week. I will update the title of the post, which should keep your RSS readers interested (let me know if that isn't working for you). I'll also post a short summary in reverse chronological and the list will stay at the bottom. Sound good? 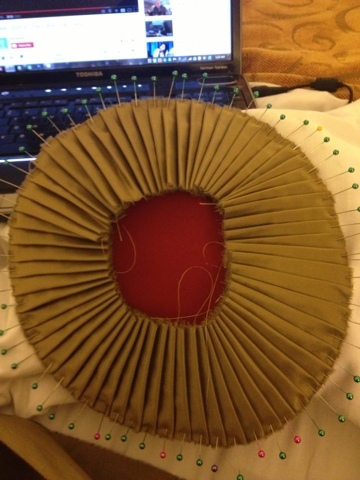 The hat is together all the way, has all of the pleating sewn down on the under-brim and the bias binding is 1/2 way on! 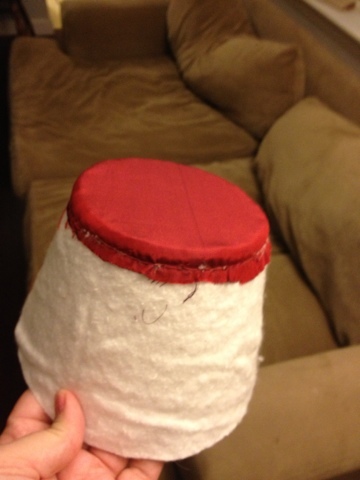 Not much sewing is happening at CoCo, as predicted, but at least the hat is coming along! Things will probably slow down on this for the weekend as I will be at Costume College (AKA Summer Camp for Costume nerds). I'm going to bring some stuff with me to work on, but I do not hold out a ton of hope that things will get done as I have a pretty full schedule and lots of friends to keep me busy. :-) This is ok - it was built into the plan from the beginning. 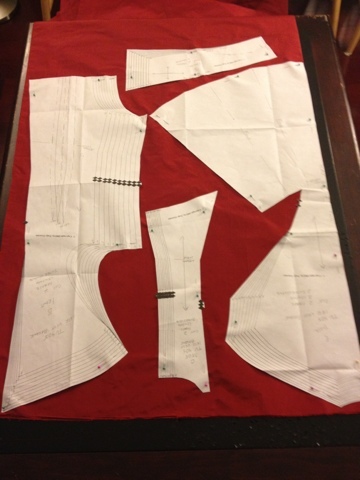 Today was big jacket fabric cutting day. 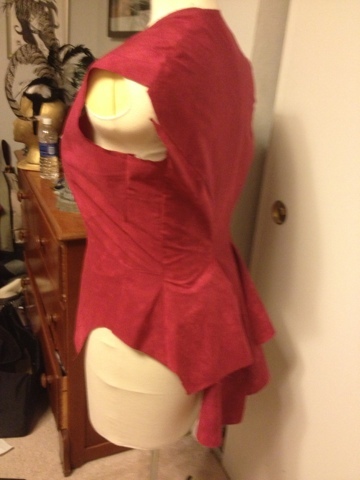 I got the fashion fabric, the lining and the interlining all cut out and ready to go. I also got the top piece sewn onto my hat. I'm not totally sure what the deal is with me working on the hat all the time, but I guess I am sick of always having the dress, but never the hat to go with. 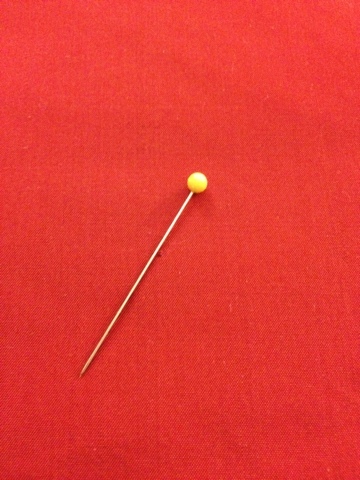 This picture makes me a little sad and a little happy cuz it's from Other Noelle's pin stash. I'm sad that she is very far away right now, but It's nice to know I have a little piece of her here to help me with this project.